"The noble Joseph, having taken Thy most pure body down from the Tree and wrapped It in pure linen and covered It with spices, laid it in a new tomb. When Thou didst descend unto death, O Life Immortal, then didst Thou slay hades with the lightning of Thy divinity. And when Thou didst also raise the dead out of the nethermost depths, all the Hosts of the heavens cried out: O Life-giver, Christ our God, glory be to Thee. Unto the Myrrh-bearing women did the angel cry out as he stood by the grave: Myrrh is meet for the dead, but Christ hath proved a stranger to corruption." ‎"Behold the Bridegroom cometh at midnight, and blessed is that servant whom He shall find watching; but unworthy is he whom He shall find heedless. Beware, therefore, O my soul, lest thou be weighed down with sleep; lest thou be given up to death, and be shut out from the kingdom. But rouse thyself and cry: Holy, Holy, Holy art Thou, O God: through the Theotokos, have mercy on us." 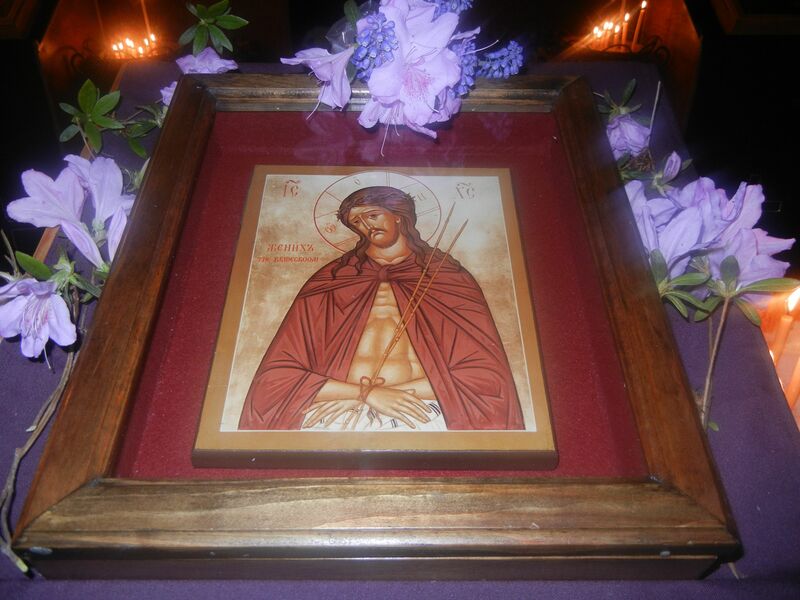 This is a new recording, from Holy Monday evening (Matins for Holy Tuesday.) All three iterations of "Thy Bridal Chamber" are sung. Fr. George chants the first one, and the choir does the other two. Thy Bridal Chamber, adorned I see, O my Saviour; and no wedding garment have I that I may enter there. Make the robe of my soul to shine, O Light-giver, and save me. Here is the first part of Father John's homily from Sunday, January 30, 2011. Here is the second part of Father John's homily. Open unto me the doors of repentance. 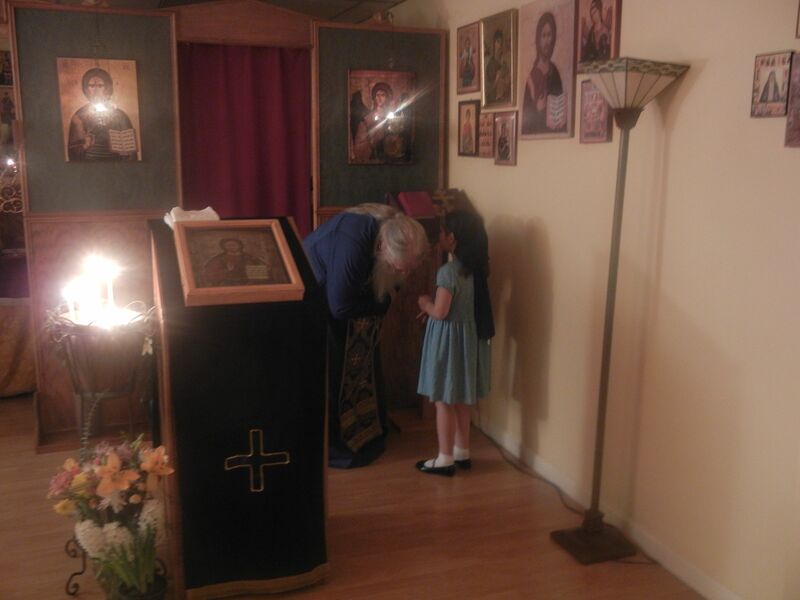 We sang it for the last time this year on the Sunday of St. Mary of Egypt, the last Sunday of Great Lent.